If you have not watched the drama yet, Cheese In The Trap is a South Korean drama series based on the popular webtoon (manhwa) of the same name on Naver. 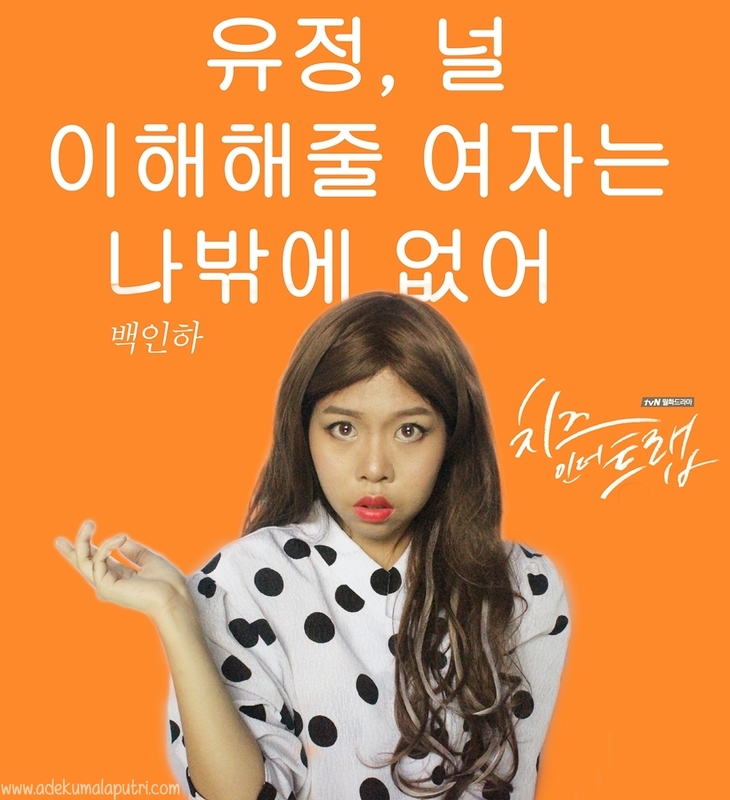 I have read the webtoon version and yeah I am enjoying this drama so far. 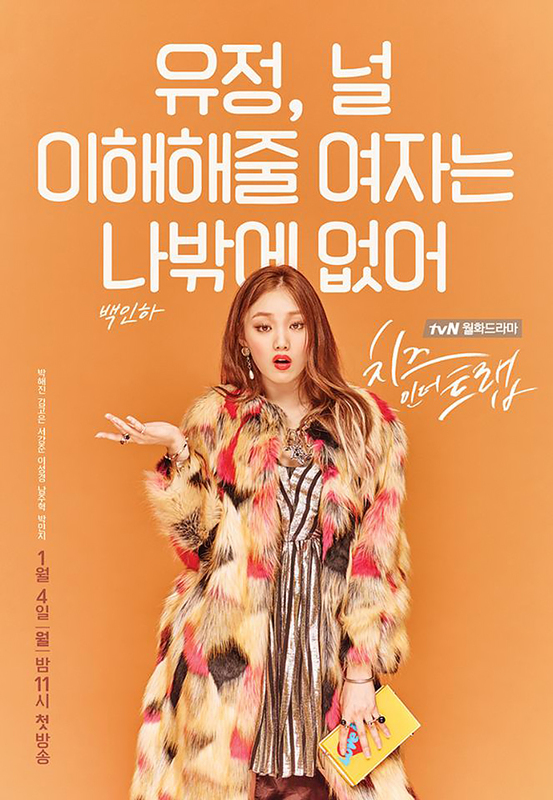 I think Lee Sung Kyung really does fit the role of Baek In Ha, as a mischievous and materialistic girl. 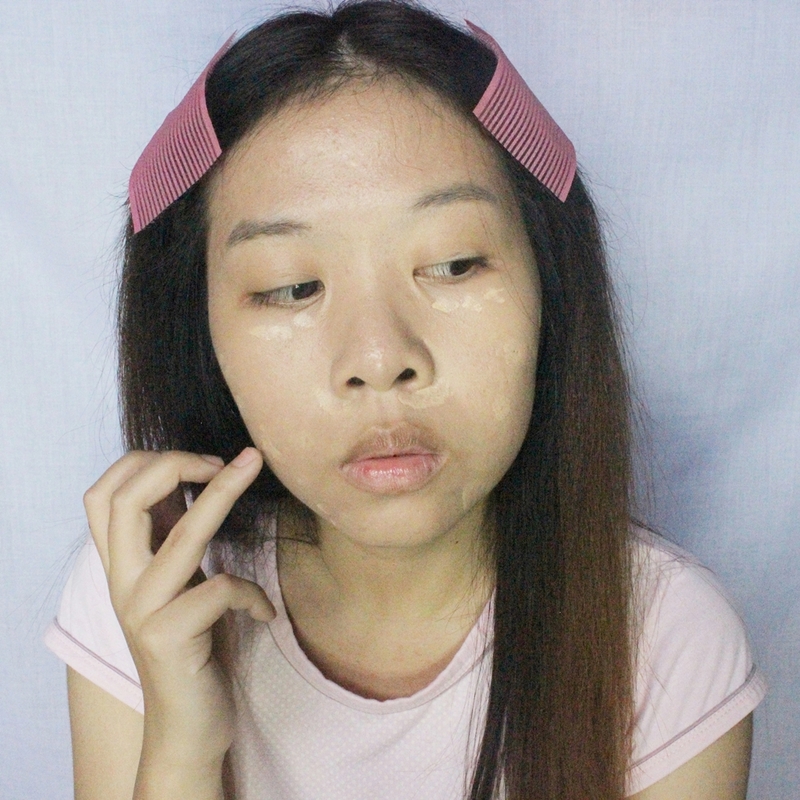 although I must admit that sometimes her reactions are over-exaggerated, but she still looks so pretty! She has a definite signature look with her flawless complexion, splendid eye makeup, flushed cheeks, and bright lips. 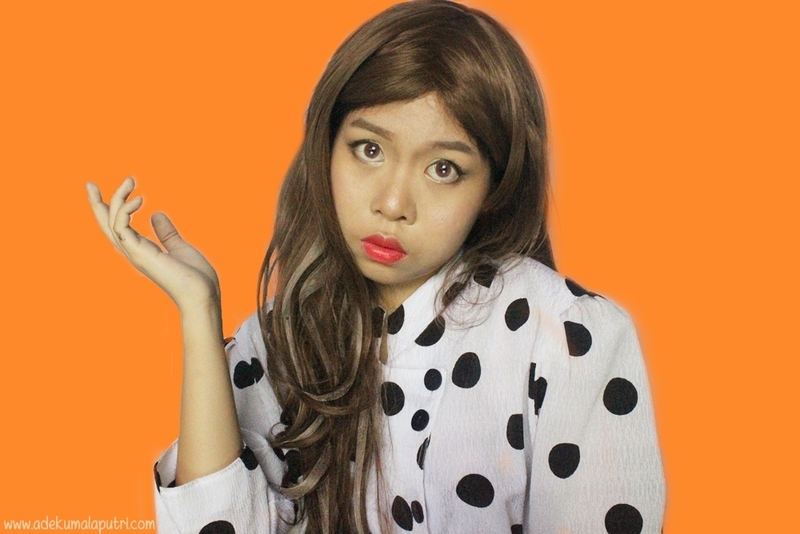 And oh, she wears a lot of standoffish outfits in bright colors as well. 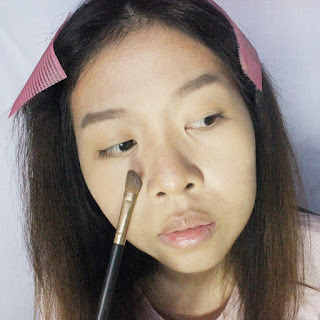 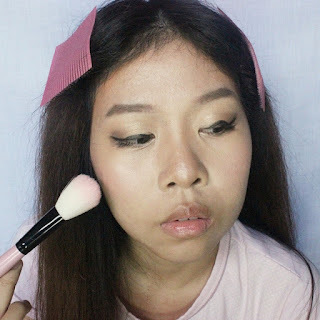 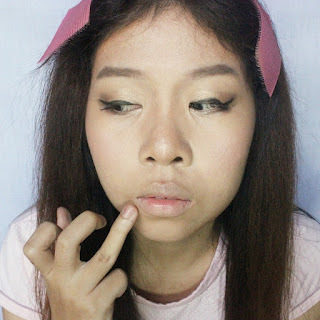 I think this makeup look is simple and quite easy to do, so let's give it a try~! 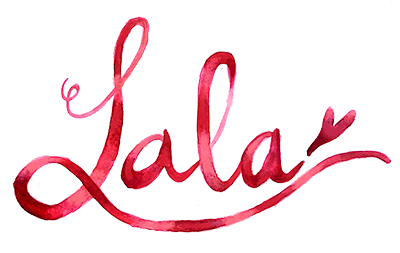 First of all, you are going to want to start with a glowing canvas. 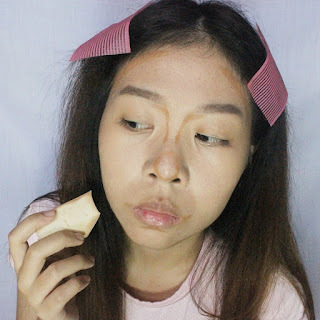 So, apply BB cushion or regular BB cream or dewy-finish foundation all over your face - to achieve a brighter glowing complexion like Baek In Ha, start from the center of your face and then move outwards. To achieve a flawless base makeup, conceal your imperfections as much as possible, such as acne scars, redness, and dark circles. 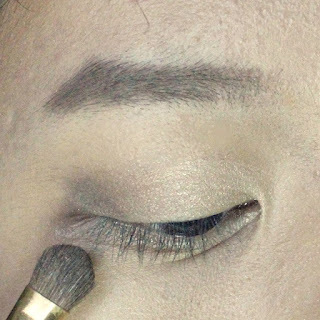 Blend the concealer with a concealer brush or with your fingertips. Baek In Ha wears her eyebrows quite thick, straight, but also have a slight arch on the outer part of her eyebrows. 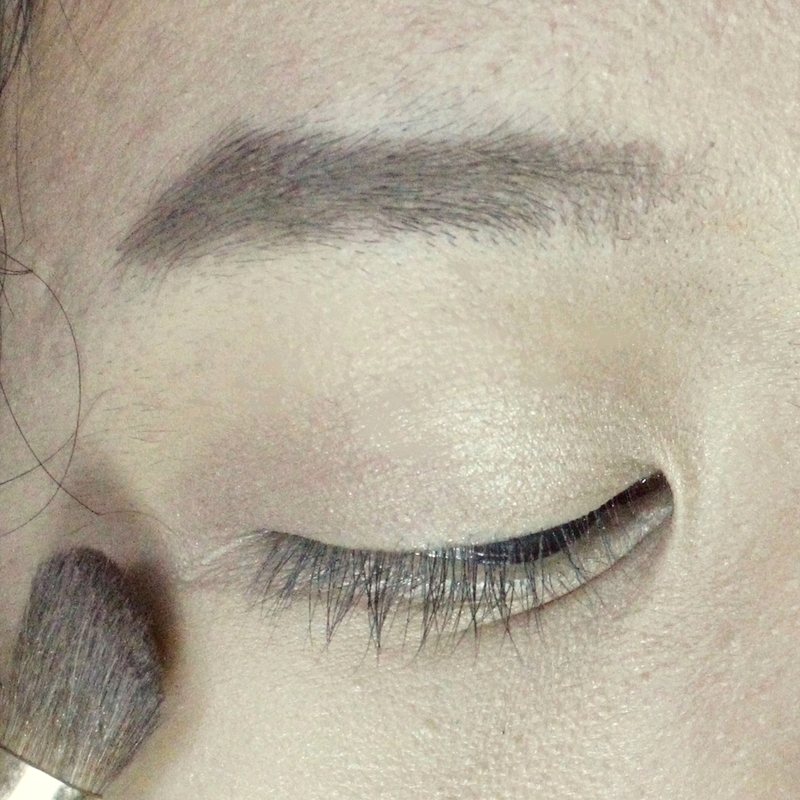 Use a matte brown eyeshadow or brow powder to recreate her eyebrows and get a more natural look. 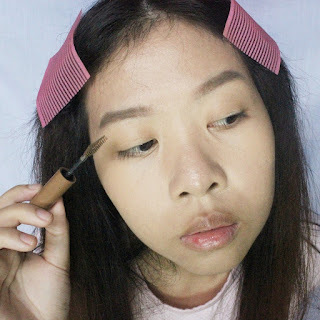 Color your eyebrows with a brown eyebrow mascara, go one shade or two lighter than your hair color. To get Baek In Ha's face shape, contour your face with a cream contouring product or a darker shade of foundation. Blend it well with a makeup sponge or buffing brush. 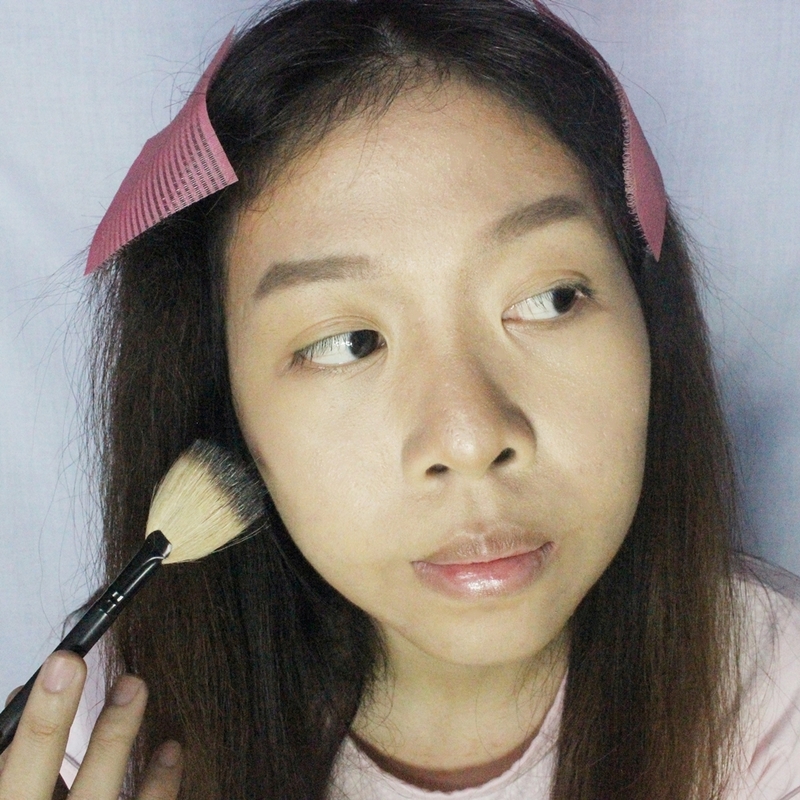 And then use the powder type of contouring product for more detailed or precise contours. Highlight your face, focus on the bridge of your nose, your forehead, chin, and under your eyes. 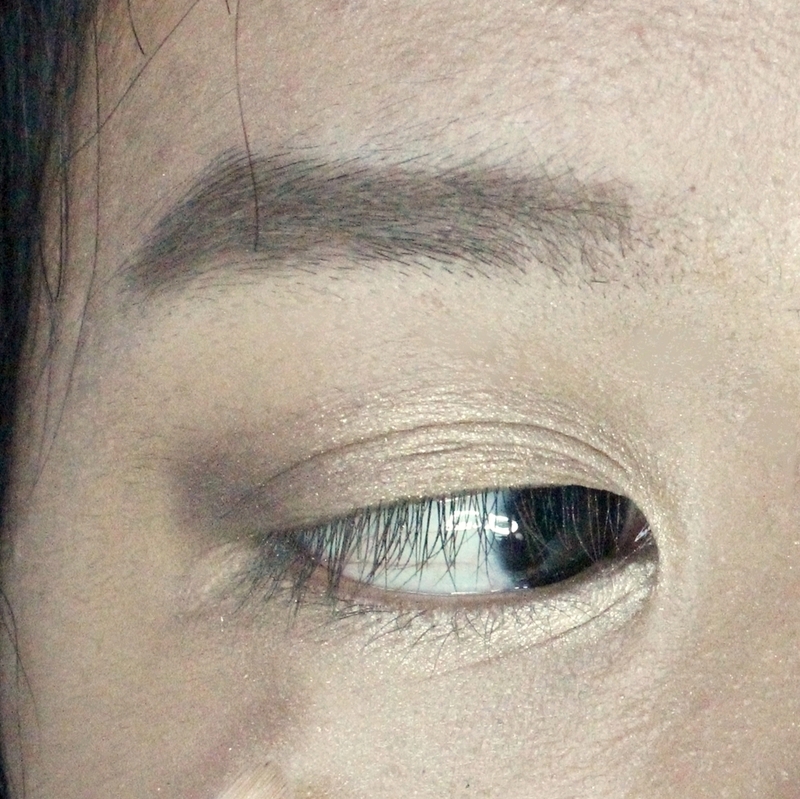 For the eyes, Baek In Ha tends to go for a brown eye makeup look. 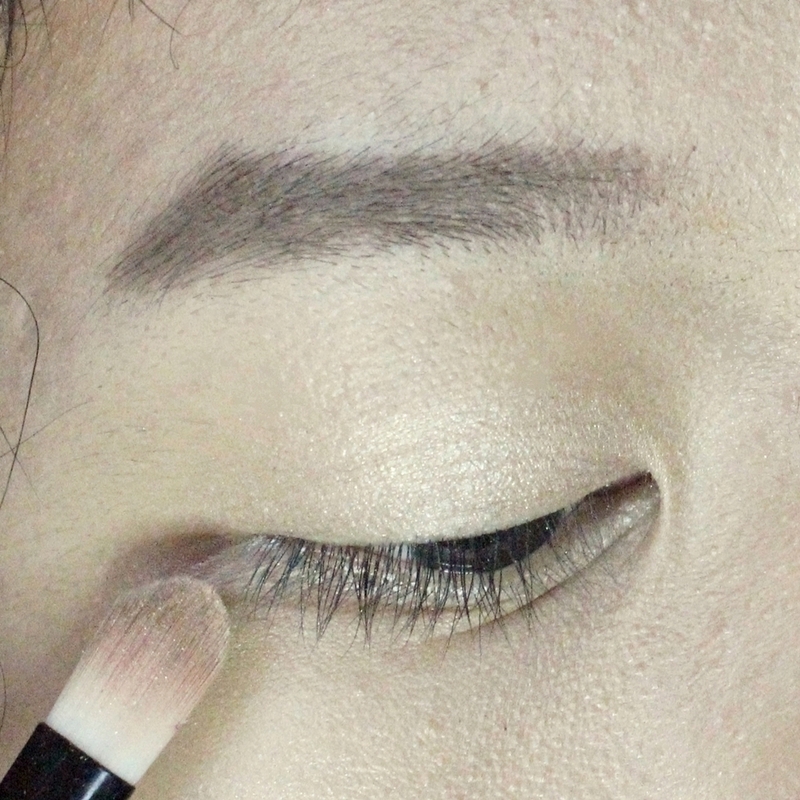 So, apply a shimmery beige eyeshadow all over your eyelids as a base color. 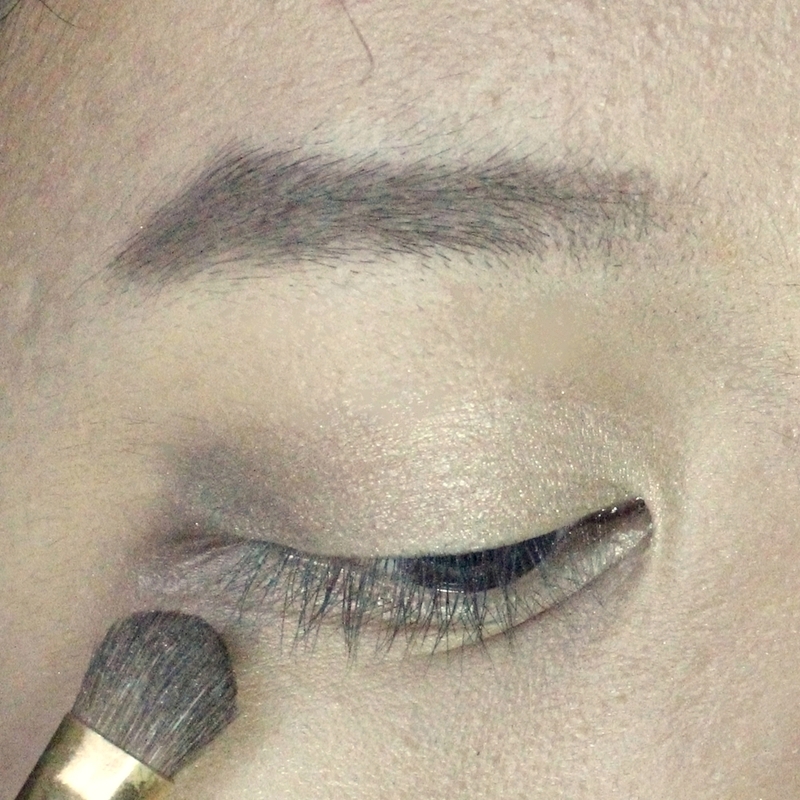 Next, take a matte light brown eyeshadow, and apply on your outer-V.
And to add a touch more dimension to your eyes, apply a dark brown eyeshadow on the outer corner of your eyelids. Apply shimmery gold eyeshadow to the center of your eyelids. 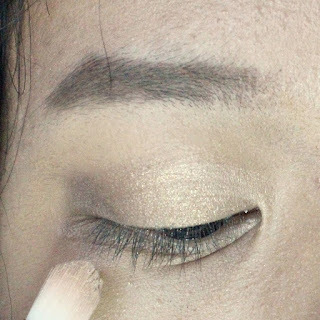 And take the same shimmery beige eyeshadow that you have used earlier, apply it on the inner corner of your eyes, to open up your eyes and make them pop. 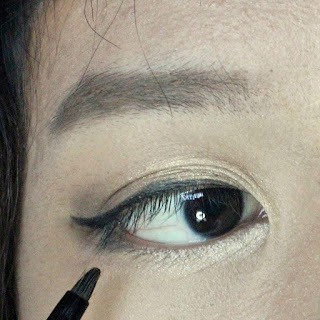 Line your eyes with a black gel eyeliner as thin as possible, and wing the eyeliner out. 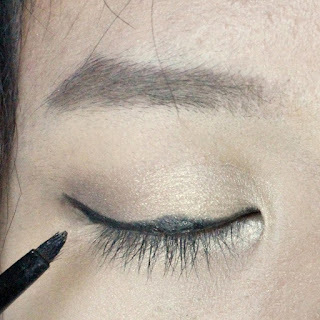 You can also draw the eyeliner slightly thicker on the center of your eyes to create similar eye shapes like Baek In Ha. Lightly apply the same black gel eyeliner on the outer half of your lower lash line, and blend it well. 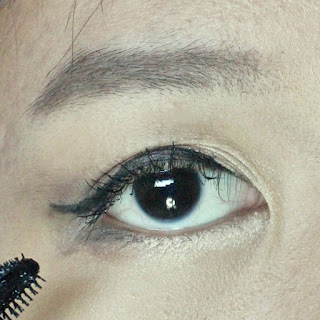 Another makeup point of Baek In ha is her curled lashes. So, curl your lashes and apply a generous coat of black mascara on your upper lashes. 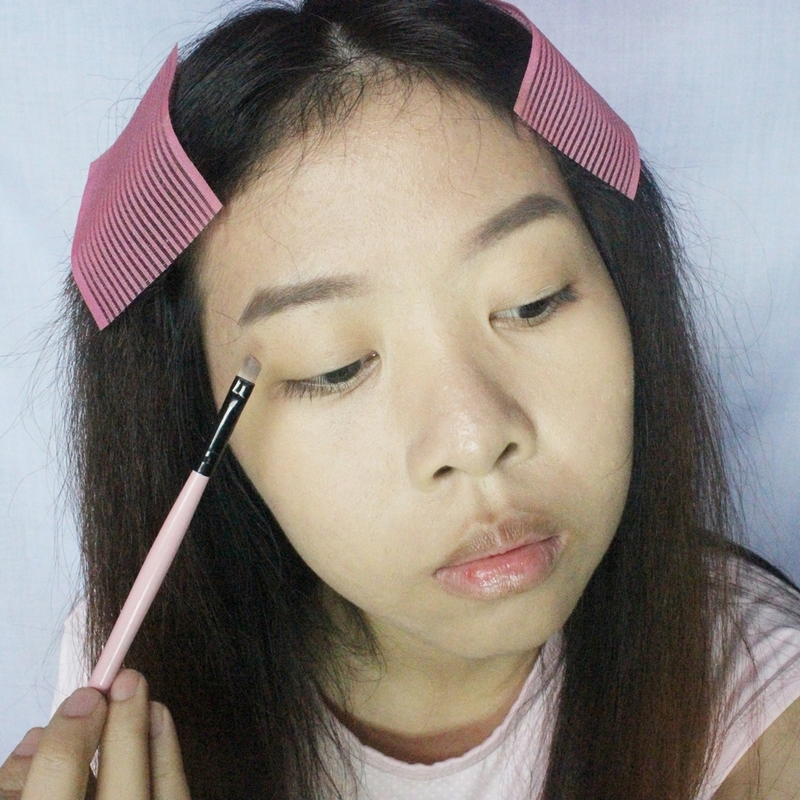 You can also apply a pair of false lashes if you want. 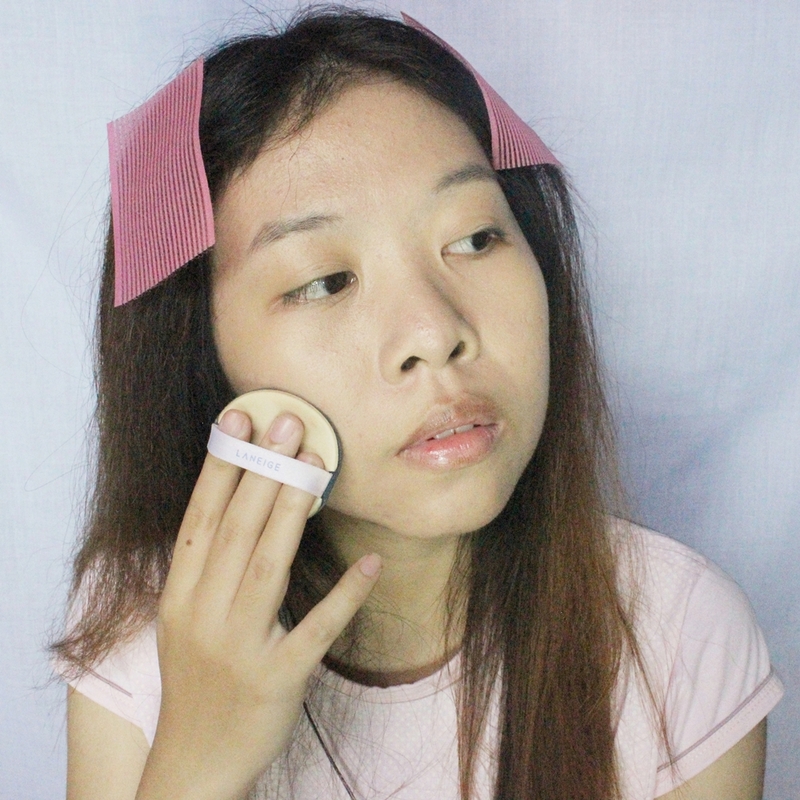 For the blush, apply a pink blush to the apples of your cheeks to get the perfect flushed cheeks just like Baek In Ha. Conceal the edge of your lips using a lip concealer. 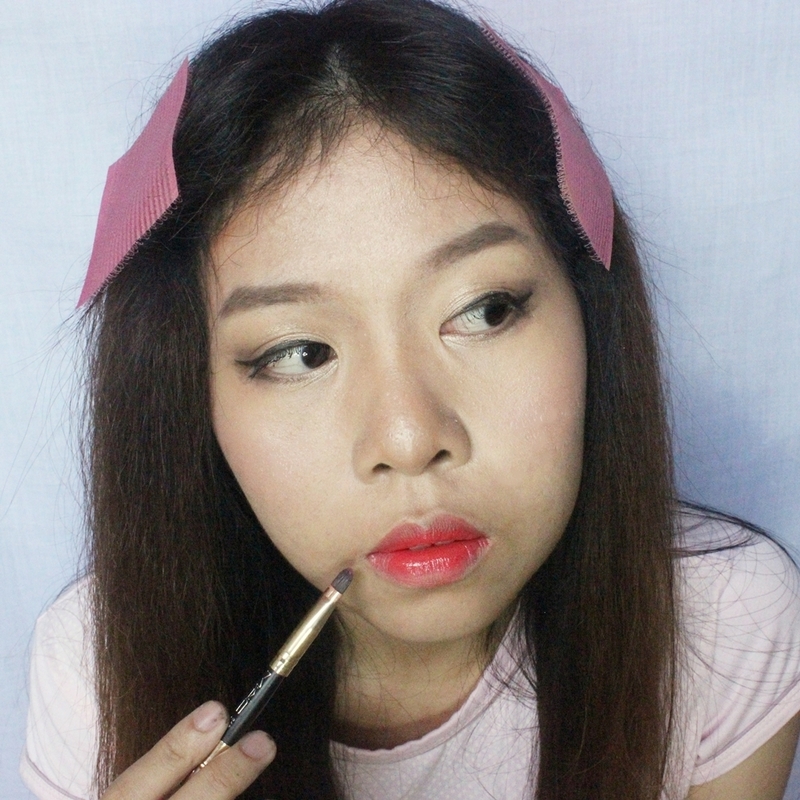 And last but not least, apply orangey-red lipstick all over your lips using a lip brush, and make your lips appear slightly fuller and thicker. 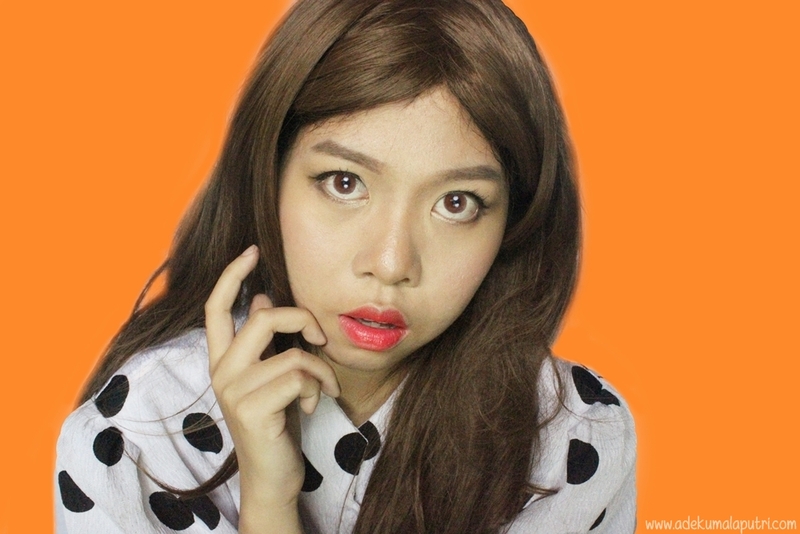 To complete my final look, I decided to put in a pair of hazel circle lenses. And oh, I also wore a long brown wavy wig - and voila, there you have it.. Baek In Ha's makeup look~! 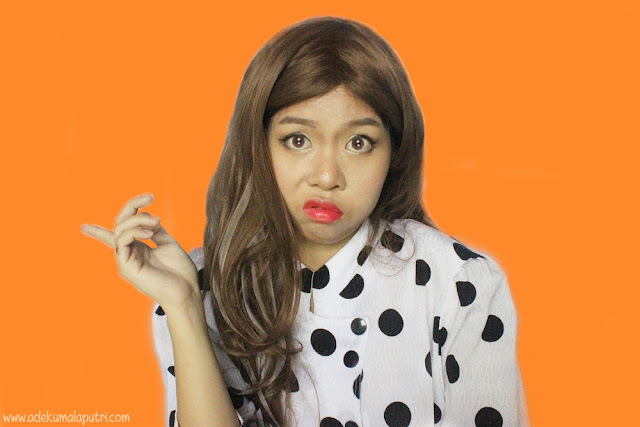 Um well, I have tried to imitate her facial expressions, but I think I failed lol. 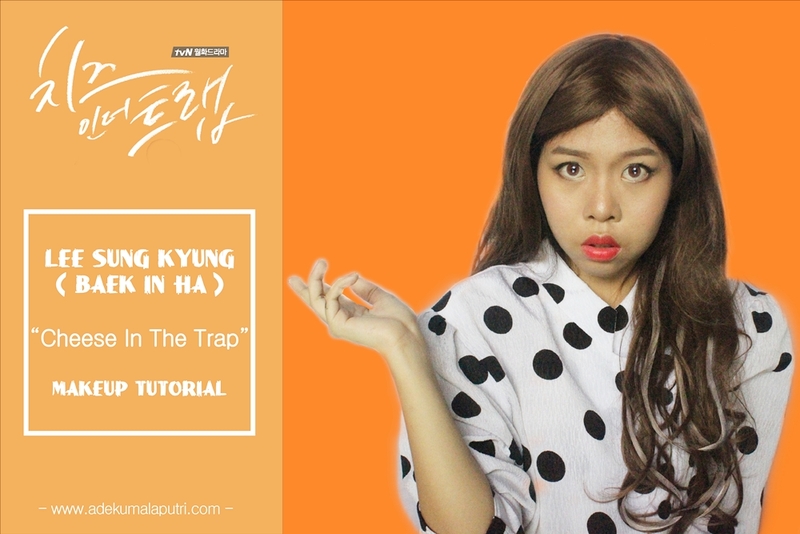 By the way, have you watched Cheese In The Trap yet?